Description: Mushroomer is a crazy platformer with cute graphics and mind-boggling puzzles. 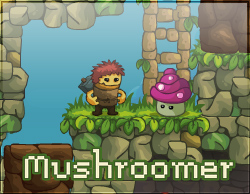 Help the Cave Man find all the mushrooms in a given level to proceed to the next one! 30 levels in total.